Set the tone for a modern bedroom steeped in comfort with this tufted upholstered platform bed. A grey-toned mixed color twill fabric covers the expanse of the padded headboard, side rails, and platform footboard. 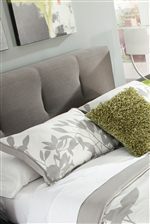 An upholstered bed is a stylish choice for a cool contrast to the rest of your bedroom furniture. 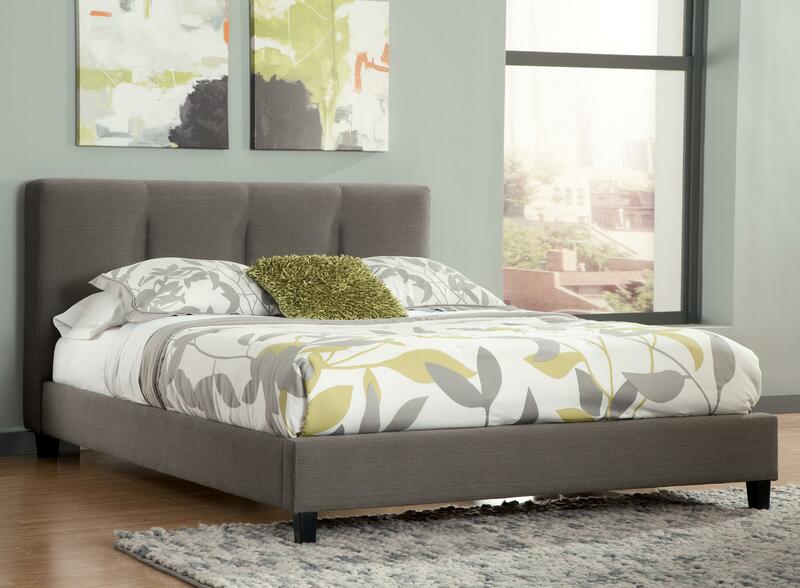 Distinctive channel-tufting on the upholstered headboard adds to the sleek, contemporary look of this platform bed. The Masterton Queen Upholstered Platform Bed with Channel Tufted Headboard by Signature Design by Ashley at Michael's Furniture Warehouse in the San Fernando & Los Angeles area. Product availability may vary. Contact us for the most current availability on this product. B702-74 Queen UPH Footboard and Rails 1 64.5" 82" 12"
B702-77 Queen Upholstered Headboard with Channel Tufting 1 65" 7.75" 41.5"
Bed Construction Bed features dark finish tapered feet. Fully upholstered in mixed color twill fabric - 100% polyester. The Masterton bedroom collection gives your master suite a look that reflects your modern sense of style. The collection's twill fabric upholstered platform bed with a channel tufted headboard will liven up your home's decor. The Masterton collection is a great option if you are looking for Contemporary furniture in the San Fernando & Los Angeles area.